Posted by Trixie. November 14th 2014. A smart looking feline with plenty to love, American Shorthair cats have been a popular addition to British homes for a number of years. 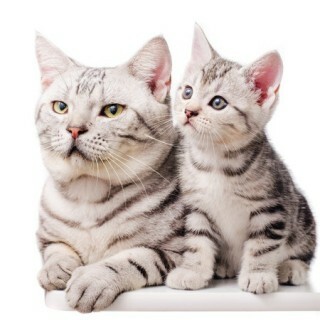 Cats usually have reputations for being selfish and indulged but the American Shorthair puts paid to this theory. This traditionally hardworking feline has its roots in rodent control in the UK and on the ships which crossed the Atlantic between Britain and America. There’s no indulgence there! In the New World, the American Shorthair learnt to tough it out during brutal winters and sweltering summers all while keeping rodent populations under control. After a hard day’s work, it was expected to settle down with the family … and it did so easily, displaying a versatile character which combined work and play perfectly. It isn’t solely a tough mouser though. 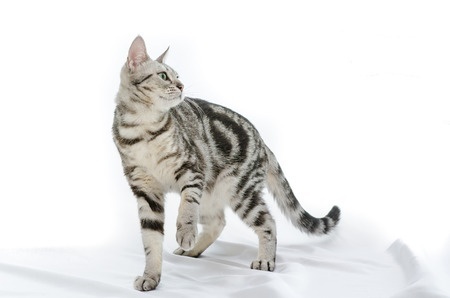 The American Shorthair has received several breeding accolades in shows around the world proving that it isn’t just all about hard work – it’s gorgeous too! When it comes to the colour of the American Shorthair, take your pick! 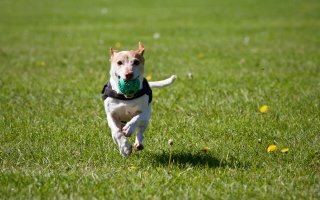 It can appear in a combination of as many as 60 different hues but the most familiar appearance is a silver coat dotted with black markings. These handsome cats are fit and muscular with excellent balance and the ability to endure tough circumstances. They tend to be medium to large in size so cut a striking feline figure. What a wonderful personality this cat has! It’s not too clingy but neither is it aloof. It’s adaptable and can live with children and other cats and dogs happily. It has a calm nature so is perfect for anyone who wants a soothing, companionable presence. Like all cats and especially those which have a farm background, it is also independent and can keep itself amused when its owner is not around. It can also be easily trained to use a litter box. As such a robust cat with a history of hard work, it’s not surprising that the American Shorthair is not a high maintenance pet. All it needs is a balanced diet, regular vaccinations and routine vet cheek ups. This cat will normally do well with an occasional professional grooming, although it is not a necessity, and exercise-wise it prefers soft and gentle play to vigorous scampering which makes it well suited to both flat and house living. American Shorthair cats typically live for a hardy 15-20 years which is likely down to the fact that it descends from tough farm cats. Care in the breeding pool over the years has also contributed to their long life expectancy.